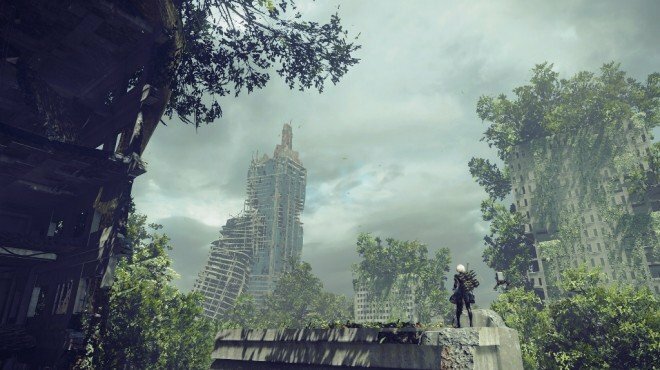 Project Gestalt Report 5 is one of the information archives in Nier: Automata. Through the use of maso technology related to multidimensional worlds, 13 activation systems have been completed--including "Grimoire Noir." We have also confirmed that these systems can be used to return Gestalts to their Replicant forms once the White Chlorination Syndrome has been fully eliminated. Work necessary for this system will be continued by the "Grimoir Noir Project" work group. Abandoned Factory: Furnace - Route C. Go backwards through the factory as 9S. In the first room with multiple doors, one will have a hacking lock. Unlock it and proceed. At the end of the conveyor, up above, is a locked chest with Report 5.